Nikken has opened a new innovation centre designed to highlight its latest machining accessory innovations. Ed Hill went along to discover what it offers potential customers. There was a time when metalworking facilities were pretty disagreeable places full of swarf covered floors, oil and grease hazards and other potential dangers to life and limb. But walking into Nikken’s new European innovation centre (NICe) could not be further from that scenario. 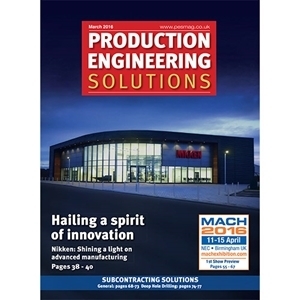 Four page flyer containing the feature article written by Ed Hill, and full page advertisement published in the March edition of Production Engineering Solutions.